Dubai and the UAE in general, being a highly transitional place with expats moving in and out a quite a fast pace, people have long been in between renting a vehicle long term or buying one. Every vehicle depreciates and if the purchase was done through finance then there is an additional cost of the interest. This can be quite considerable depending on the car brand, but in general expect a 20-30% depreciation in the first year and 25% over the next years. Maintenance costs – Most people think that the maintenance cost is just the servicing, true as it may be when repairs are covered by the car warranty. The issue is some warranties don’t cover everything or some service packages have small prints, so it’s not a guaranteed hassle free experience. One of the main costs which people don’t factor in are, the time and logistics costs for these service and repairs. Think about your transport costs, time constraints, inconvenience of the whole thing, etc. Selling the vehicle can be quite a challenge if someone must leave urgently. If the car is financed just leaving it at the airport doesn’t absolves you of your debt. The bank will in fact pile on so many other charges that will more than increase the amount owed. Should you not have a finance then selling the car in auction or using one of those car dealers can be a mission. If someone has mastered all of the above, one should still think about passing the car every year, and insuring it. Pay more for insurance and you can have a hassle-free service but everything is at a cost. 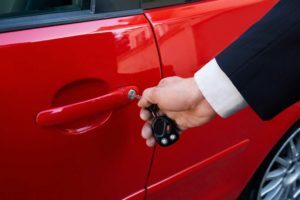 On the other hand, using a good car rental service provider like Calder Rent a Car LLC provides you with a hassle-free door to door experience with free replacements, free pickup and drop off and much more. Yes, you might not get the exact vehicle you wanted but the question you need to ask yourself is whether it’s better to own than rent.